Published: Aug. 18, 2018 at 11:26 a.m. Updated: Aug. 19, 2018 at 01:18 a.m. The Raiders are visiting their former home for the first time in more than two decades. On Saturday, the Oakland Raiders head to the Los Angeles Memorial Coliseum to face the L.A. Rams. It marks the first time the Silver and Black will play at the Coliseum since 1994 when the team left L.A. for Oakland, per the team's official website. Jon Gruden's Raiders started the preseason off well last week with a home win over the Detroit Lions. Saturday's visit to L.A. will be a different test against Sean McVay's Rams. McVay has often been compared to Gruden, who also earned his first head coaching gig (with Oakland) at a young age. Gruden gave McVay his first NFL job, as a 22-year-old coaching assistant for the Tampa Bay Buccaneers back in 2008. 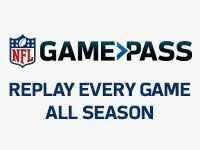 Not that teams scheme or give away any secrets during the preseason anyway, but with the Raiders and Rams facing off again in just over three weeks to open the season (Monday night, Sept. 10, in the Oakland-Alameda County Coliseum), expect Saturday's clash to be particularly vanilla scheme-wise. You can catch the Raiders return to L.A. at 4 p.m. ET live on NFL Network.